Last week, Mom (Karen) and I went on a retreat to Mount Shasta. It was always a place that we heard had great spiritual significance, and let alone was quite beautiful! We had the opportunity to head that way for a course, the Dolphin Star Mystery School (yes, that’s is actual name!) was putting on a 2-day festival and we felt simply called beyond explanation to attend. We had all of this planned out prior to my move to California, and we excitedly talked about our upcoming May adventure which helped to get us though the trials and tribulations of packing up my entire house and selling all my belongings! The end of April was nearing and we had yet to purchase the tickets, something weird had happened, our excitement for the festival had waned. How sad we were! But we decided, let’s just poke around and see what kind of accommodations there are in Mount Shasta, and if we could find something it would help to make up our minds. Well, find something we did! Serendipity at its best! 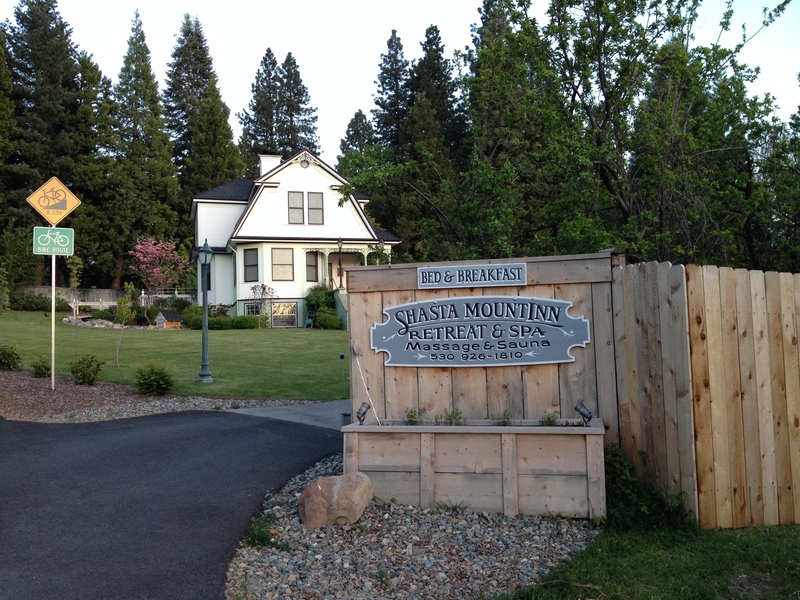 As we searched the internet it became glaringly apparent to us…there were no others places in Shasta to stay other than the B&B we had found, Shasta MountInn. How could that be? We were pretty sure it was a popular tourist destination. Oh well, we said. We then bit the bullet and bought our passes. Our excitement reignited and off we went to Shasta! As we entered the town of Mount Shasta it became pretty apparent that indeed there were a lot, like a lot, of places we could have stayed. Yet looking back we knew there was only one place we were to stay. The place that allowed all the magic to happen! The orchestrator of it all was Dave, the owner and guardian of the Shasta MountInn. An old soul with a big heart. 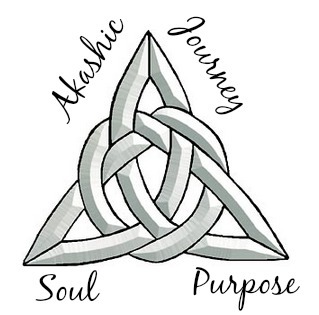 A master manifestor, he uses his heightened abilities for others; connecting them with the people, places and situations they need in their lives. Instant recognition kicked in as we parked and he popped out of the B&B to greet us! Old friends were reunited. 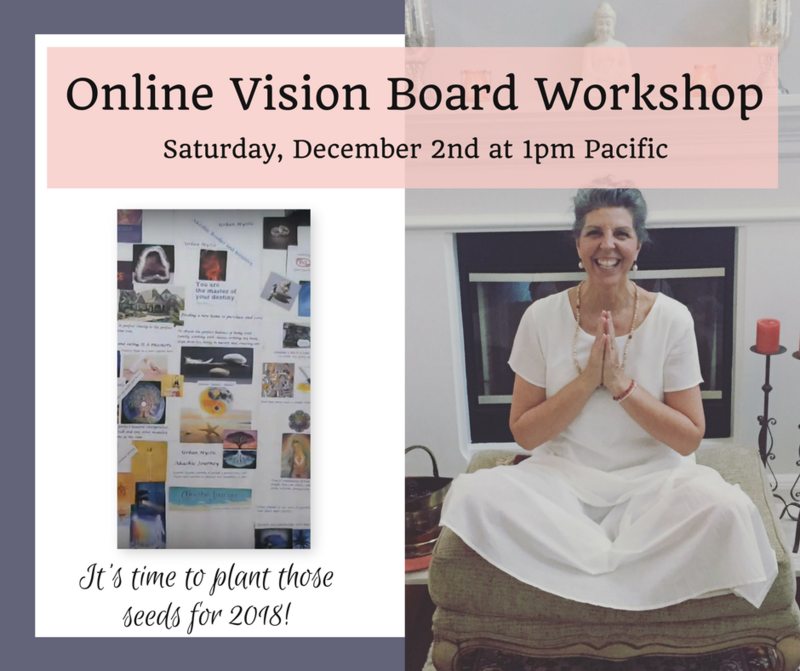 Read Part II of our Magical Trip to Mount Shasta Series: An Ascended Master Makes an Appearance? 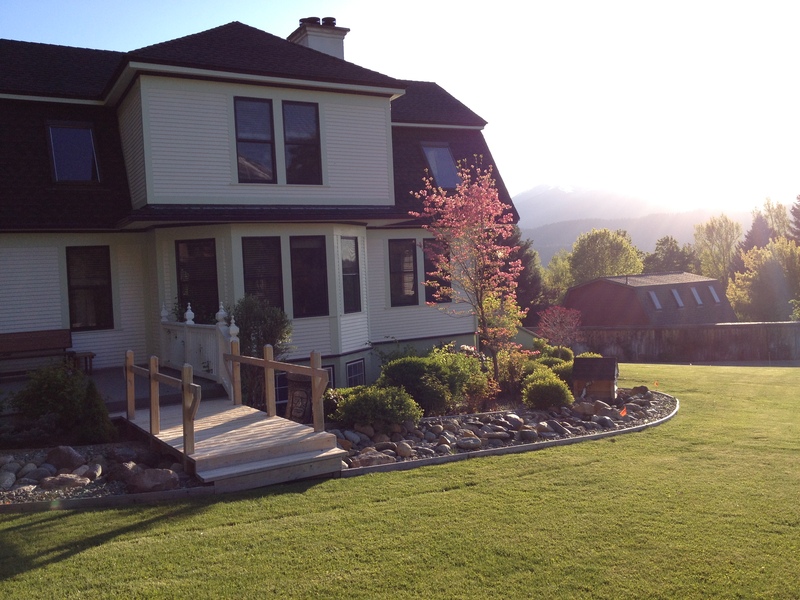 Below are some pictures of the wonderful B&B! 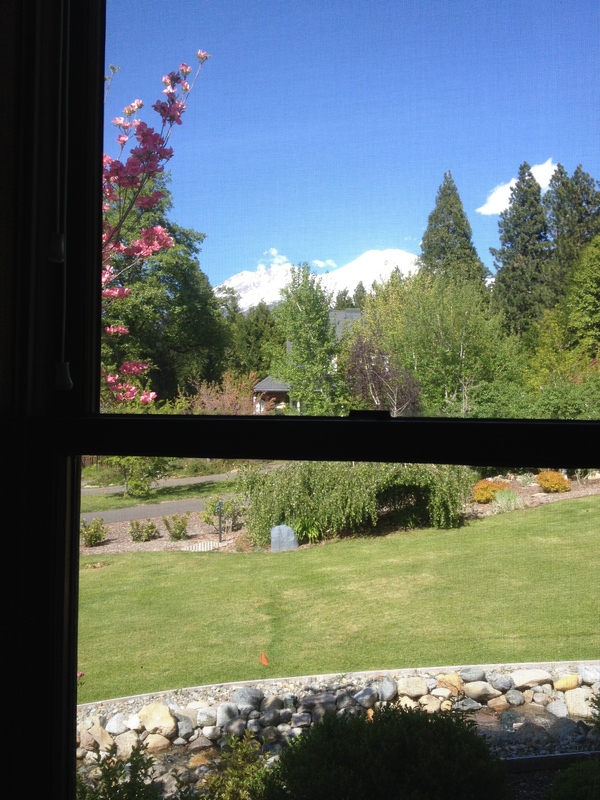 This is the stunning view of Mount Shasta from our bedroom window. 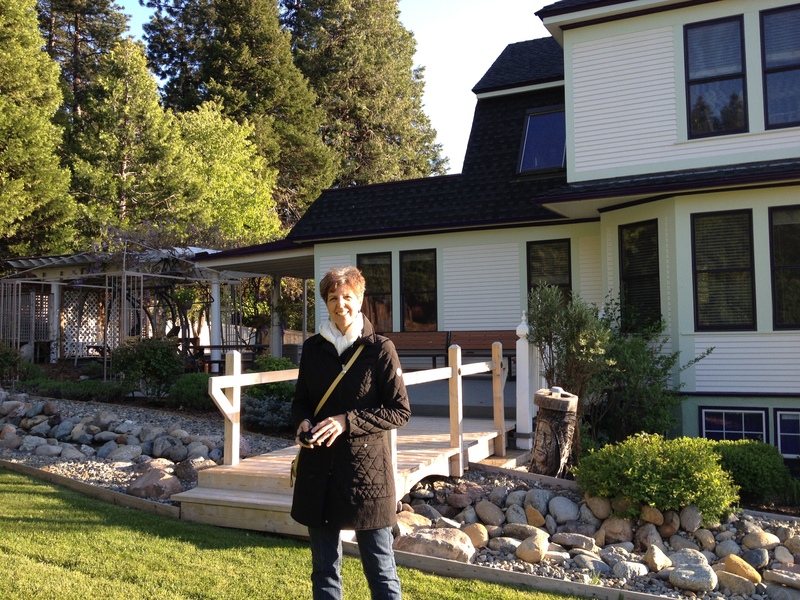 Mom outside our room window, in front of the beautiful babbling creek! Gorgeous side-view of the Shasta MountInn.